Aide aux cinémas du monde is the fund, managed by the CNC and the Institut français, dedicated to international co-productions. Jointly created by the Ministry for Culture and Communication and the Ministry of Foreign and European Affairs, it is managed by the Centre National du Cinéma et de l’Image Animée (CNC) and the Institut français.It is a selective fund, and is granted as a subsidy either before or after completion of a project. It is granted to foreign feature-length film projects that are seeking support from French co-producers. The AHF awards grants solely to support public humanities projects. Active public participation, involvement of humanities scholars, and strong humanities content are the three essential ingredients of AHF-funded projects. The grants program accommodates the broadest possible range of topics and formats for imaginative proposals. Applicants are encouraged to develop projects for a wide variety of audiences, including: library and museum patrons, teachers and scholars, youth, elderly, hospital patients, prisoners, public housing and nursing home residents, and the hearing and sight impaired. The AKHF grant program funds humanities-based projects. In carrying out the Forum’s mission, we support grant projects that cultivate appreciation and enjoyment of the humanities; create dialogue among peoples holding divergent points of view; apply traditional bodies of wisdom to present concerns; search for a sense of personal identity and a sense of place through history, traditions, and new ideas; and pass on the values, methods, and wisdom of the humanities to future generations of Alaskans. In addition to their annual 5-day film festival, the American Documentary Film Fund was established for independent American filmmakers. An amount up to $50,000 may be awarded or distributed in any given year. A panel of film industry professionals will review a select group of documentary filmmaker projects for funding consideration. Filmmakers will provide detailed story outlines and budgets for their works in progress or new projects..
America’s Media Makers (AMM) grants support interactive digital media, film and television projects, and radio projects. NEH encourages projects that feature multiple formats to engage the public in the exploration of humanities ideas. Development grants enable media producers to collaborate with scholars to develop humanities content and to prepare programs for production. Grants should result in a script or a design document and should also yield a detailed plan for outreach and public engagement in collaboration with a partner organization or organizations. America’s Media Makers (AMM) grants support interactive digital media, film and television projects, and radio projects. NEH encourages projects that feature multiple formats to engage the public in the exploration of humanities ideas. Production grants support the production and distribution of digital projects, films, television programs, radio programs, and related programs that promise to engage the public. The Antarctic Artists and Writers Program furnishes U.S. Antarctic Program operational support, and round-trip economy air tickets between the United States and the Southern Hemisphere, to artists and writers whose work requires them to be in the Antarctic to complete their proposed project. U.S. Antarctic Program infrastructure consists of three year-round stations and numerous austral-summer research camps in Antarctica, research ships in the Southern Ocean, and surface and air transportation. These assets support the artist and writer projects. The main purpose of the U.S. Antarctic Program is scientific research and education. AFAC’s cinema funding is open to all kinds of film projects – short films, feature narratives, short documentaries, feature documentaries, animation and experimental film. AFAC offers funding for development/scripting, production and post-production. Projects applying for a development/ scripting grant are eligible for a maximum of $15,000 while projects applying for a production/ post-production grant are eligible for a maximum of $50,000. Crossroads targets independent Arab filmmakers exploring the frontiers of new possibilities offered by the current social and political turmoil in the region by offering both financial and professional support for film projects in development phases directed by emerging filmmakers who are discovering fertile grounds for innovation, creativity and experimentation amidst the upheaval engulfing the region. Around 15 documentary projects will be supported in each cycle of the ADP program with a maximum grant amount of $50,000 per film. The selected projects will be given both financial as well as professional support by advisors and experts. The winning projects will benefit from network opportunities that bring their directors and producers into the market, the circuit of international film festivals as well as other fellow filmmakers and industry professionals. For the short documentary projects, AFAC, along with other partners, is currently exploring ways of screenings and distribution via new media, in the aim of reaching out to wider audiences, making use of open digital platforms and their wide acceptance by young audiences. AFAC’s General Grant for visual arts supports painting, sculpting, photography, installations, audio-video arts and multi-media works of a contemporary and innovative nature. The grant can support exhibitions, visual arts book publications as well as art production. Notable curators, art critics and artists from across the Arab region have been invited to be members of AFAC’s Visual Arts juror committees. AMA provides travel grants filmmkers and other African artists to travel within Africa to establish partnerships, attend festivals, and engage in documentary film development and production. The Foundations are interested in public television as an educational medium. Grants primarily provide partial support for major series with lasting educational value that are assured of national airing by PBS. Consideration is given on occasion to single stand-alone programs of exceptional merit. Preference is given to programs of enduring value on subjects such as history and science. Programs whose primary purpose is advocacy, topical news coverage or entertainment are unlikely to be competitive. The contribution to teaching in grades K-12, higher and continuing education is a consideration in evaluating proposals. Children’s series are of particular interest. The Asian Network of Documentary (AND) Fund is a loose coalition of film festival organizers committed to supporting the production and distribution of Asian documentaries. Its members collaborate to build and strengthen the network among Asian documentary filmmakers, while the administration and oversight of AND are being managed by BIFF. The AND fund is made possible by two universities in the Busan region: YoungSan University and DongSeo University along with Busan Bank and the BIFF Mecenat. The Post-Production Fund selects high quality projects ready for post-production and provides a chance to complete the post-production process at state-of-the-art facilities in Korea. This fund covers DI, sound mixing, English subtitle spotting and a D-Cinema package. Extended to real screening in Busan International Film Festival, many projects are achieving fascinating results from all over the world. The Fund was made possible thanks to the enthusiastic support of Korean post-production companies and their technological cooperation. DI processes will be carried out at the Korean Film Council, CJ PowerCast, Digital Studio 2L, SEBANG SDL and The Color. Sound work will be proceeded at the Korean Film Council, Studio SH, Wavelab STD and PLUSGAIN. English subtitle spotting work will be done at KUMTLE. If Chinese project is selected, post-production will be working at a Chinese post-production company, Forestt Studio. Astraea’s Global Arts Fund supports, showcases and connects impactful art by LGBTQI people and organizations that are using art as a tool for social transformation and have limited access to resources for this critical work. Through a nomination process that engages Astraea grantee partners and community members, we consider submissions across mediums and disciplines, including video, film, poetry, fictional prose, photography, painting, performance, dance, theater, music and other interdisciplinary expressions. The ten-month program supports the development of projects at all stages of production, and includes professional mentorship in multi-platform and transmedia storytelling, curriculum development, social media and marketing, fundraising and distribution strategy support. Fellows participate in three to four separate three-day immersive workshops and feedback sessions at BAVC’s San Francisco office, as well as five informal convenings and check-ins. All Fellows will also attend the Full Frame Film Festival in April of 2016 and IDA’s Getting Real conference in September 2016. BBC World Service will fund the production of up to six Projects and the collaboration offers documentary-makers the opportunity to tell stories in the English language for radio broadcast and podcast, with accompanying short-form visual storytelling, on the BBC.Each funded Project will comprise a half-hour or one-hour audio documentary for radio and podcast together with an accompanying thematically-related 2-4 minute visual story for the BBC’s web and social channels. The short-form visual story may be a film, audio slideshow, animation or any other appropriate form.Storytellers are invited to email individually or in teams their outline proposals using a template form through 31 July 2017. Berkeley FILM Foundation funded documentaries tackle ambitious topics such as mental illness, civil and human rights, gender, the environment, economic policy, and other social justice issues. Our student grant program has fostered and inspired student filmmakers on their paths to successful careers in the film industry. BFF has awarded almost $1,000,000 to nearly 100 films, including 22 student films. We are proud to have made such an impact in the short years since BFF’s founding in 2009. BFF funded films have screened in film festivals worldwide, have had theatrical releases, and have been broadcast on PBS and HBO. Our films have won audience awards at these film festivals: Sundance, Tribeca, San Francisco International, and Mill Valley Film Festival. The BRITDOC Circle Fund is a funders group bonded by a passion for enabling the very best documentary film. The fund was set up in response to the growing demand by individual philanthropists and family foundations who are committed to helping secure a diverse and independent future for media. The BRITDOC Circle Fund is currently by invitation only. They are unable to accept unsolicited applications. The fund is looking to support smart, strategic outreach campaigns for ambitious independent documentary feature films with a social issue at their core; films which have the ability to achieve real change on a local, regional or global level. Social impact can be achieved in a myriad of ways and we are looking for outreach plans that engage audiences, have identifiable goals and partners to help achieve them. Grants will be in the range of £5,000 – £50,000. There are two application rounds per year. This fund recognises such films are often delicate and protracted, making them difficult to fund. With a mission to enable in-depth analysis of issues through long-form investigative filmmaking, they are particularly looking to work with filmmakers with a journalistic background or those who are collaborating with journalists. It is key that the journalistic intent is embedded within the film itself rather than the film simply being about a journalist or journalistic institution. The Film Fund is committed to supporting documentary filmmaking, and specifically documentary films with theatrical potential. In recognition of the greater volume of applicants with theatrical documentary proposals, the current industry interest in the form, and the more specialised consideration that this genre requires, particularly for emerging talent, they will now consider applications from documentary filmmakers through twice yearly-pitching sessions – in London and Sheffield – with a panel of Fund executives, industry experts and peers. The California Documentary Project (CDP) is a competitive grants program that supports documentary film, radio, and new media productions that enhance our understanding of California and its cultures, peoples, and histories. Projects must use the humanities to provide context, depth, and perspective and be suitable for California and national audiences through broadcast and/or distribution. Since 2003, we have awarded approximately $4 million to projects that document the California experience and explore issues of significance to Californians. CDP grants support projects at the research and development, production, and public engagement stages. The aim of the Documentary Films Competitions is to recognize non-fiction entries as creative interpretations of reality. Putting emphasis on the visual and aesthetic appeal of their work, the juries award cinematographers of documentary films screened in two independent competitions, for documentary shorts and documentary features.Submission deadline: 30th June 2017. The Catapult Film Fund provides development funding to documentary filmmakers who have a compelling story to tell, have secured access to their story and are ready to shoot and edit a piece for production fundraising purposes. Our mission is to enable filmmakers to develop their film projects to the next level at a moment where funding is hard to find. We support powerful stories, and moving storytelling, across a broad spectrum of issues and perspectives. With support from the Corporation for Public Broadcasting, CAAM is able to offer funding to independent producers for documentary projects intended for public television broadcast. All projects must conform to standard public broadcasting lengths. Offered once a year, this round of funding is for applicants with documentary projects at the production and/or post-production stage intended for public television broadcast. Projects in research and development are not eligible to apply. CAAM convenes an independent panel of media professionals including producers, directors, and programmers who evaluate Open Call proposals and make recommendations to the CAAM staff and Board of Directors. The Board makes final approval. CAAM accepts proposals twice a year. CID has been collaborating with independent producers in the creation of independent documentaries for more than 25 years. CID acts as fiscal sponsor, manages project funds, provides creative and technical support, and offers advice on fundraising and distribution. To apply to CID for collaboration (which includes fiscal sponsorship), an application is required. The Accelerator Lab is focused on identifying and supporting a diverse group of women nonfiction directors from all over the world who are making their first or second films. The aim of the program is to help them navigate the documentary film world, build toward sustainable and successful careers, and tell the most powerful and impactful stories they can.The deadline to submit is July 10, 2017 (by 3:00 pm EDT). Cinereach offers adaptive financial and creative support that frees the filmmaking process from systemic barriers and commercial pressures to make way for innovative work. They seek projects and collaborators that can offer audiences new experiences and understanding, stimulate the imagination, and grapple meaningfully with the complexities of our time. Calling all filmmakers and space enthusiasts! For the third year in a row, NASA has teamed up with the Houston Cinema Arts Society to bring CineSpace, a short-film competition that encourages both professional and aspiring filmmakers to create works using actual NASA space footage.Deadline 23:59 (11:59 pm) July 31, 2017 (any time zone). The media division of the EACEA provides financial support in the development, distribution and promotion of European Union film and audiovisual industries. The Creative Europe programme aims to support the European audiovisual, cultural and creative sector. The different funding schemes encourage the audiovisual, cultural and creative players to operate across Europe, to reach new audiences and to develop the skills needed in the digital age. By helping European cultural and audiovisual works to reach audiences in other countries, the programme will also contribute to safeguarding cultural and linguistic diversity. The Crossing Borders programme aims to bring together filmmakers and documentary experts from both Europe and Asia, who are highly motivated to collaborate with each other across national borders with the ambition to enter each other’s markets both artistically and financially. Crossing Borders is organised by EDN and Documentary Campus and presented in partnership with FINAS – The National Film Development Corporation Malaysia and MyDocs. The Connecticut Humanities Fund (CTHF) supports the work of organizations that use the humanities to help Connecticut residents and visitors better understand and appreciate human history, culture, values and beliefs. These competitive grants provide opportunities for analysis, reflection, inquiry and evaluation of the world through the lens of human experience. While program formats typically include exhibitions, panel discussions, public speakers, facilitated discussions and talks, the fund also encourages fresh ideas on humanities experiences that engage the public. The Corporation for Public Broadcasting (CPB) promotes the growth and development of public media in communities throughout America. CPB distributes its appropriation in accordance with a statutory formula under which around 72 percent of funds go directly to local stations. CPB also supports the creation of content for radio, television and other platforms. The Public Broadcasting Act ensures diversity in content by requiring CPB to fund independent and minority producers. Check back frequently for more information about Open Grants. The Greenhouse Fund competitively awards grants for industry training and professional development projects for public television professionals and independent producers. The goal of the fund is to prepare public broadcasters and independent producers for entry, advancement and/or leadership by providing forums for introducing new technologies, skill building through workshops, opportunities to showcase best practices, and more. Each year, CMG distributes a limited number of $5,000–$10,000 Action Grants to organizations and individuals to help support projects and campaigns that use video to create measurable impact in ocean health or renewable energy solutions. CMG’s Focus Fund supports feature film projects that aim to create measurable impact in the focus areas of healthy oceans & renewable energy solutions. These grants of $25,000-$150,000 may be used for project development, a pitch trailer, a portion of or entire production, and/or film distribution & impact engagement. The CrossCurrents Doc Fund is an international production fund that fosters storytelling from within communities whose perspectives have been historically underrepresented or marginalized. The Fund supports filmmakers from within these communities, especially emerging talent, who can illustrate a relationship between their film’s subject and their own experience. Generously established by the R & M Lang Foundation and administered by Hot Docs, the Fund annual awards a $10,000 grant to one applicant. Creative Capital provides integrated financial and advisory support to artists pursuing adventurous projects in all disciplines. creative Capital is one of the only national nonprofit organizations that awards grants to individual artists through an open application process. They are a premier provider of risk capital in the arts, taking chances to support ideas that are bold, innovative and genre-stretching. Their individualized approach surrounds artists with the financial and advisory resources they need to realize their artistic visions and build sustainable careers. Opportunity Grants can be requested at any time throughout the year. These grants, for up to $3,000, can be used to fund smaller projects or to assist with long-range planning for larger projects. The Delaware Humanities Forum provides financial support for public humanities programs through its Grant Programs. Public programs that are sponsored by non-profit organizations in Delaware are eligible for funding. Institutions that are eligible to apply to the DHF for grant funding include: colleges and universities, libraries, historical societies, museums, educational television and radio stations, research institutes, professional associations, agencies of state and local government, labor unions, and other community and service organizations. DOC NYC returns for its eighth year on November 9 – 16, 2017. This year, DOC NYC welcomes submissions via new submission platform FilmFreeway as well as longtime partner Withoutabox. We look forward to reviewing your work!Extended deadline: July 14, 2017 . In the spirit of fostering great work, the Filmmaker Fund is committed to both proven and emerging filmmakers with assistance at every stage of production and post-production. Primarily, our role is to remove the obstacles that lie in the way of great work. From early stage funding, through production, to a DCP, it is our aim to alleviate artistic encumbrances. Filmmaker Support Programs (FSPs) help emerging filmmakers to complete their films. The FSPs supports films that are experimental and innovative in form or content, films that might not have been produced without the NFB help. Support includes equipment loans, post-production services and technical assistance directly related to the production of a film. See website for various regional deadlines and information. Programs are offered in French and English. June 13th, 2017 – New York, NY – Today, the Firelight Documentary Lab launches its first ever open call for submissions in order to broaden impact and regional representation. The Documentary Lab is an 18-month fellowship program that supports filmmakers from racially and ethnically underrepresented communities working on their first or second feature length documentary film. The Lab provides filmmakers with customized mentorship from prominent leaders in the documentary world, funding, professional development workshops and networking opportunities. The deadline for submissions is July 14th, 2017. Fledgling has an open rolling application process for grants to support outreach and engagement for social issue documentary film projects that have the potential to inspire positive social change around issues that affect the most vulnerable. You can submit an application online at any time and will be asked to include a description of the project, its social change goals and your plans for moving the project forward. Typically, film projects have at least a rough cut. They review proposals on a rolling basis and you will be notified of our decision within three months. Grants typically range from $10K – $25K. They support audience engagement planning and implementation. Support for planning is for building the strategy for outreach and engagement and can be used before a project is complete to prepare for its launch. Grants are NOT available to support production or post-production. The Ford Foundation’s grant making for organizations focuses on reducing poverty and injustice; promoting democratic values; and advancing human knowledge, creativity and achievement. If your project reflects these priorities, you may submit a grant inquiry using their online form. They also make a very limited number of grants to individuals, generally restricted to fellowships for advanced study. Each year the Ford Foundation receives about 40,000 proposals and makes about 1,400 grants. Beginning in 2011, Ford Foundation is investing $10 million a year over five years in documentary projects that address urgent social issues and help us understand our past, explore our present and build our future. 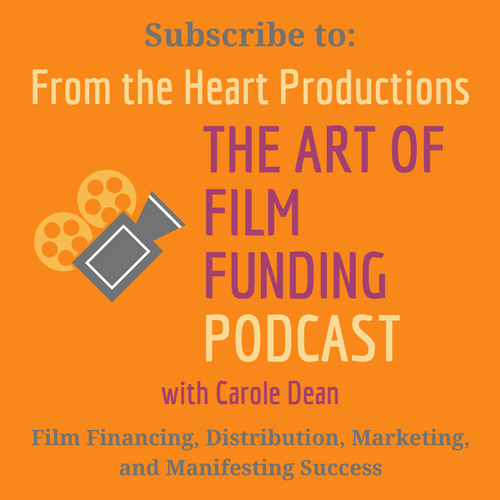 Their goal is to expand the community of emerging and established filmmakers who often lack funding, and help them to realize their visions and reach audiences. JustFilms focuses on film, video and digital works that show courageous people confronting difficult issues and actively pursuing a more just, secure and sustainable world. The Frameline Completion Fund provides grants to emerging and established filmmakers. The program seeks to provide a much-needed source of financial contributions to artists who often struggle to secure funding to complete their works. Grants up to $5,000 are available for films that represent and reflect LGBT life in all its complexity and richness. For two decades Frameline has provided over 130 grants totaling $368,000 to help ensure that LGBT films are completed and viewed by wider audiences. Submissions are being accepted for documentary, educational, narrative, animated or experimental projects about LGBT people and their communities. The Fund also seeks to bring new work to under-served audiences; with this in mind, we especially encourage applications by women, people of color and transgender persons. The Fulbright-National Geographic Digital Storytelling Fellowship was launched in 2013 as a new component of the Fulbright U.S. Student Program. It provides opportunities for U.S. citizens to participate in an academic year of overseas travel and digital storytelling in one, two, or three countries on a globally significant theme. This Fellowship is made possible through a partnership between the U.S. Department of State and the National Geographic Society. The wide variety of new digital media tools and platforms has created an unprecedented opportunity for people from all disciplines and backgrounds to share observations and personal narratives with global audiences online. These storytelling tools are powerful resources as we seek to expand our knowledge of pressing transnational issues and build ties across culture. The $1-million Hot Docs-Blue Ice Group Documentary Fund helps enable more African documentary filmmakers to tell their own stories and contribute to a new generation of the African documentary community. The Fund provides development grants of $3000 to $10,000 CAD and production grants of $5000 to $40,000 CAD are awarded to approximately four to 10 projects annually. In addition to financing, the Fund provides a peer-to-peer mentorship program where grantees may team up with international production partners to bring their projects to international markets, festivals, broadcast and online audiences. Additionally, grantees will have travel, accommodation and accreditation support to attend Hot Docs Canadian International Documentary Festival and the Hot Docs-Blue Ice Group Filmmakers Lab. A post-production grant can be used for various activities in the post-production process of a film (e.g. editing, colour grading or sound mixing). In return for its post-production support, the Hubert Bals Fund requests that the world premiere of the film takes place at International Film Festival Rotterdam and the fund requests the film’s distribution rights for the Netherlands, Belgium and Luxembourg. The maximum contribution in this category is €20,000. HBF strongly prefers creative, author-driven documentaries. In their eyes, such creative documentaries take real-life subjects as their starting points but require substantial original writing and explore an author’s and/or director’s own point of view. A Script and Project Development grant can be used for the further development of the script (e.g. research, writing, translation or hiring a coach or script consultant) but can also be used to present the project to financiers or other potential partners at (international) co-production meetings or film festivals. The maximum contribution for script and project development is €10,000. The selection procedure for Script and Project Development applications is divided into two phases, for a more efficient process and quicker answer. Through HBF+Europe: Distribution support, the Hubert Bals Fund aims to offers financial support to the distribution of feature films by filmmakers from Africa, Asia, Latin America and parts of Eastern Europe, to stimulate the promotion and circulation of international co-productions in Europe and beyond. Through this scheme, the HBF expects to boost the potential of these films to find their audiences in Europe and beyond. Through HBF+Europe: Minority Co-production support, the Hubert Bals Fund aims to encourage European producers to participate as a minority co-producer in high-quality film projects by filmmakers from Africa, Asia, Latin America, the Middle East and parts of Eastern Europe. Developed in response to feedback received from humanities programmers and partners, and reflecting new organizational goals of increasing responsiveness and accessibility, Humanities for All grants will support locally-initiated public humanities projects that address the needs and interests of Californians, encourage greater public participation in humanities programming, particularly by new and/or underserved audiences, and promote understanding and empathy among all our state’s peoples in order to cultivate a thriving democracy. Grants will support for many of the same types of projects previously funded through our long-running Community Stories program, which had its last deadline in February 2016, as well as other types of projects, including experimental and innovative programming. In addition to the Quick Grants, Project Grant Awards between $10,000 and $20,000 will be made twice a year for larger public humanities projects of up to two years duration. Artstour provides fee support to organizations that seek to present Illinois touring performing artists, companies and ensembles for performances as well as visual and media arts touring exhibits. Impact Partners looks to finance powerful documentaries that address contemporary social issues. They welcome unsolicited submissions. Since its inception in 2007, Impact Partners has been involved in the financing of over 60 films, including: THE COVE, which won the 2010 Academy Award for Best Documentary Feature; THE GARDEN, which was nominated for an Academy Award for Documentary Feature in 2009; HELL AND BACK AGAIN, which won the Documentary Grand Jury Prize and Cinematography Award at the 2011 Sundance Film Festival, and was nominated for an Academy Award for Documentary Feature in 2012; and HOW TO SURVIVE A PLAGUE, which was nominated for an Academy Award for Documentary Feature in 2013. The “Indigenous Oregon Production Investment Fund” (iOPIF) provides rebates of 20% of goods and services and 10% of Oregon labor for projects by Oregon producers who spend a minimum of $75,000, up to the first $1million of their spend. Other requirements will apply. By supporting both documentary filmmakers and organisations that promote documentaries, the IDFA Bertha Fund (formerly known as the Jan Vrijman Fund) enables documentary practitioners in developing countries to find their own unique voice. The Fund not only provides financial support to realize this endeavour, but plays a crucial advisory role as well. The Bertha Foundation dreams of a more just world and supports forms of activism that aim to bring about change. They champion those using media, law and enterprise as tools to achieve their vision. By investing in the IDFA Bertha Fund the Foundation makes it possible for the fund to carry on supporting filmmakers and documentaries that make a difference. ITVS accepts proposals on an ongoing basis for documentary projects that fall outside of the standing initiatives (DDF, LINCS, Open Call). For development funding, activities may include travel, research, script development, preliminary production for fundraising/work-in-progress reels, or other early-phase activities. For production funding, all production and post-production activities are eligible. Producers should note that ITVS’s capacity to fund projects outside of its standing initiatives is extremely limited and highly competitive, but will consider programs for special support and funding on a case-by-case basis. The Digital Open Call provides up to $50,000 in R&D funding to develop and pilot digital series concepts on any subject, and from any viewpoint, for public media’s digital platforms. Projects must be in development, and cannot have begun principal production. The Digital Open Call funding is only available to independent producers who are citizens or legal residents of the U.S. and its external territories. Carefully review the full eligibility criteria before beginning an application. The Diversity Development Fund (DDF) provides up to $15,000 in research and development funding to producers of color to develop single documentary programs for public television. Funded activities may include travel, research, script development, preliminary production for fundraising/work-in-progress reels, or other early phase activities. DDF accepts projects that have not yet begun production and programs that can become eligible for ITVS production funding initatives as single programs of standard broadcast length. Widely considered the most prestigious honor in natural history filmmaking, the Jackson Hole Wildlife Film Festival celebrates the world’s most innovative wildlife, nature and science storytelling. The Japan Foundation New York office (JFNY) accepts applications for projects that take place within the 37 states east of Rocky Mountains listed below for the JFNY Grant throughout the year. This grant aims to support projects that will further understanding of Japanese arts and culture. Successful projects may be granted up to $5,000. Priority will be given to those projects that have secured additional funding from sources other than the Japan Foundation. The American Jewish Joint Distribution Committee (JDC) Archives is pleased to announce its 2018 grant for post-production and/or distribution costs of a documentary film, which draws on the JDC archival collections. One documentary film will be awarded a grant of $10,000. Eligible films will focus on twentieth century Jewish history, humanitarian assistance, and related topics. Topics can include issues, events and personalities related to overseas Jewish communities during the last century. Applicants must have a proven track record as a filmmaker. Films that have utilized the JDC Archives will be given higher consideration. Funds will be given for post-production and/or distribution costs for a film currently in production or in post-production. Applications are due by February 15, 2018. The Jerome Foundation, offers grants to not-for-profit arts organizations and to fiscal sponsors applying on behalf of artists for the creation, development, and production of new works by emerging artists in New York City and Minnesota. Through the MN / NYC Film and Video Grant Programs, The Jerome Foundation operates production grant programs for individual film and video artists, emerging composers and sound artist who reside within five boroughs of New York City and Minnesota. The Travel and Study Grant Program awards grants to emerging artists who create new work, rotating the eligible disciplines in alternating years. The Foundation seeks to fund documentary projects that address the significant social challenges of our time or explore important but under-reported topics in a journalistic manner. Domestic and international topics are welcome. Support will be provided primarily for production and post-production activities. To qualify, you must apply through an organization or company that is legally incorporated in a U.S. state that has editorial and financial control over the documentary project. The MacArthur Documentary Fund cannot make grants to individuals, or through fiscal sponsors. Preference is given to experienced filmmakers with a record of producing films that have been broadcast nationally and internationally and received critical recognition. The goal of LEF New England is to fund the work of independent documentary film and video artists in the region, and to broaden recognition and support for their work, both locally and nationally. It also supports programs that highlight the rich history and ongoing legacy of innovation within New England’s independent film community. LEF New England launched the Moving Image Fund (MIF) in 2002 to support new film and video work. The Moving Image Fund provides funding across all phases of production, supporting films from the early risk-taking stage, through a film’s completion. In this way, MIF offers a continuum of support for selected projects, while also identifying new talent. Dell and Adrian Grenier are seeking submissions for the “Legacy of Good” short documentary film contest, which aims to create inspiring stories on the circular economy movement and the role of technology in creating a better future. Entries will be accepted January 22-March 31 and consist of a written synopsis (1-2 pages), short video (1-2 minutes, not a complete film) and any supporting visuals (e.g., storyboard) that help convey the filmmaker’s vision. A panel of film, circular economy and technology experts will judge submissions. The winner of the contest will be announced on Earth Day. October 16-21, 2017. Lisbon, Portugal. The 2017 edition of Lisbon Docs will concentrate on strategies to create top-quality documentary projects and on how to deliver them to existing and new audiences. If you are a documentary filmmaker with an international project in development, Lisbon Docs is the place to be. Lisbon Docs is a reference for professionals who seek financing and co-production opportunities for documentary projects. The submission deadline is 30 July 2017. The Maine Humanities Council offers Discretionary and Planning Grants from $1000-$7500 to support small scale public humanities projects, such as lectures, program notes or planning, development and research activities in preparation for larger projects, or for testing new programming ideas, developing educational materials, etc. Their grants support a variety of larger humanities projects such as exhibits, conferences, films, and other initiatives. Maine Humanities Council General Humanities Community Outreach Grants offer support for a wide variety of modestly sized public humanities projects, such as exhibits, lecture and film series, reading and discussion programs, symposia, cultural celebrations, etc. Grants are awarded in amounts up to $7,500. Average award: $750. Proposals can be submitted anytime, but generally not less than six weeks before the start of activities. The Humanities & the Legacy of Race & Ethnicity in the United States grant awards up to $3,000 to support public programming that promotes community discussion and deep dialogue that focuses on race relations. Interested parties are required to contact Maryland Humanities to discuss the proposed project before submitting an application. The Opportunity Grant program provides small grants, up to $1,200, that give priority to the programming needs of small institutions and underserved audiences. The Opportunity Grant is flexible and responsive, designed to provide easy access to support new and innovative programs in the humanities. This fellowship is available to mid-career filmmakers and media artists in Minnesota. Documentary, narrative, animation, experimental, and new media directors are welcome to apply. Two $25,000 Fellowships for Minnesota filmmakers are awarded each year. The Fellows are selected by a panel of jurors who are film artists and professionals from outside of Minnesota. Applicants submit two completed films/videos, which jurors evaluate for consistent artistic excellence and merit, clarity and uniqueness of vision, professional quality in the technical aspects of production, and demonstrable, sustained growth in the artist’s career. The Miller / Packan Film Fund supports documentaries that Educate, Inspire and Enrich. The Fund is financed through the Rogovy Foundation. We believe in the transformational power that comes from enlightening narratives and inspiring characters. Grants totaling $150,000 are awarded each year to between six and ten filmmakers. The Fund supports filmmaking in advanced development (up to $10,000), production and post-production stages (up to $25,000). The fund operates an open call submission process, with application deadlines in May and November. To promote the screenings of human rights cinema worldwide, Movies that Matter Support Programme offers modest small grants to human rights film events in Africa, Asia, Latin America, the Middle East and Eastern Europe, especially in countries with limited resources and freedom of press. Please note that the maximum grant amount has changed. Movies that Matter now offers grants up to EUR 7,500. These events can take various forms, such as human rights film festivals, LGBT festivals, mobile cinema projects, school screenings, grassroots distribution and film outreach projects. Movies that Matter judges every project on its individual merits. Movies that Matter is open for innovative and new plans. If you’re not sure your project fits within the criteria, please contact our office. The National Association of Latino Arts and Cultures (NALAC) Diverse Arts Spaces Grant Program is a funding initiative for the presentation or commissioning of work by Latino artists or ensembles working in visual arts, dance, music, performance art or theater. In order to facilitate these partnerships, NALAC will work with organizations that are part of the Ford Foundation Diverse Arts Spaces initiative program to identify and reach out to Latino artists and ensembles. Launched in 2005 by the National Association of Latino Arts and Cultures with major support from the Ford Foundation, the NALAC Fund for the Arts provides a variety of grants to assist US-based Latino artists and arts organizations in the development, creation, presentation and sustainability of artistic excellence, as well as the opportunity to participate in activities that contribute to professional and organizational growth. The NFA is a national grant program open to US-based Latino working artists, ensembles and Latino arts organizations that demonstrate artistic excellence in pursuit of social justice through the arts. To date, the NFA has awarded over one million dollars to a diverse range of artists and organizations representing every discipline and region of the country. Applying to the NFA is a benefit of NALAC Membership. The competitive TCR grant program is open to individuals, collectives and community-based organizations in the United States, Mexico and Central America. Successful projects demonstrate a continuous and ongoing exchange whereby artistic activity supports, preserves or extends the cultural practices between linked communities in two or more of the following countries: Belize, Costa Rica, El Salvador, Guatemala, Honduras, Mexico, Nicaragua, Panama and the United States. NBPC 360 is the new funding initiative of the National Black Programming Consortium (NBPC), devised to help launch non-fiction multi-part and serial projects for broadcast, as well as interactive/transmedia and webisodic stories about the Black experience. The NBPC 360 fund and incubator features training and support, for producers of color, designed to harvest and pipeline important, engaging stories. They are looking for multi-part series or multiple episode series, produced with wide creative latitude and a range of artistic styles about travel, current affairs, historical and biographical subjects, lifestyle or DIY, highlighting unique, larger-than-life, unforgettable individuals with specific points of views. They are looking for situations and personalities that can sustain a series, fun, outrageous and innovative content with national potential and with a concept strong enough to become a widely recognizable TV show brand; not a “one-off” and they want to understand why viewers will want to come back week after week to watch more episodes. NBPC AfroPoP: The Ultimate Cultural Exchange is a US-based public television show featuring independent documentaries and short films about life, art, and culture from the contemporary African Diaspora. NBPC is looking to support and broadcast strong stories that will capture the breadth and scope of the diversity of experiences of contemporary African peoples. The National Endowment for the Arts defines media arts as film, television, radio, audio, video, the Internet, interactive and mobile technologies, art created using digital technology, transmedia storytelling, video games, and content delivered via satellite. Grants are available to support the development, production, and national distribution of innovative projects that demonstrate media as art and media about the arts (e.g., visual arts, music, dance, literature, design, theater, musical theater, opera, folk & traditional arts, and media arts including animation and digital art). NEH’s Division of Public Programs supports activities that engage millions of Americans in understanding significant humanities works and ideas. The Bridging Cultures through Film: International Topics program supports films that examine international themes and subjects in the humanities. The films are meant to spark Americans’ engagement with the broader world by exploring countries and cultures outside of the United States. The Division of Public Programs encourages innovative nonfiction storytelling that presents multiple points of view in creative formats. At the center of every NEH-funded film is a core set of humanities ideas developed with the input of scholars, matched to imaginative formats that bring the humanities alive for people of all ages and all walks of life. The proposed film must be analytical and deeply grounded in humanities scholarship. It may be as short as thirty minutes or as long as a feature-length film. Media Projects: Development Grants support film, television, and radio projects for general audiences that encourage active engagement with humanities ideas in creative and appealing ways. All projects must be grounded in humanities scholarship in disciplines such as history, art history, film studies, literature, drama, religious studies, philosophy, or anthropology. Projects must also demonstrate an approach that is thoughtful, balanced, and analytical (rather than celebratory). The approach to the subject matter must go beyond the mere presentation of factual information to explore its larger significance and stimulate critical thinking. NEH is a national funding agency, so the projects we support must demonstrate the potential to attract a broad general audience. Media Projects: Production Grants support film, television, and radio projects for general audiences that encourage active engagement with humanities ideas in creative and appealing ways. All projects must be grounded in humanities scholarship in disciplines such as history, art history, film studies, literature, drama, religious studies, philosophy, or anthropology. Projects must also demonstrate an approach that is thoughtful, balanced, and analytical (rather than celebratory). The approach to the subject matter must go beyond the mere presentation of factual information to explore its larger significance and stimulate critical thinking. NEH is a national funding agency, so the projects we support must demonstrate the potential to attract a broad general audience. Dutch producers can apply for financial support from NFF+HBF. Projects eligible for the NFF+HBF programme are those that have been granted HBF support for Script and Project Development at an earlier stage, and which are now looking for funds to finance the production. Annually the Film Fund sets available an amount of €200,000 for applications from Dutch producers who can be awarded a maximum of €50.000 production support in order to co-produce a film that has received a script development grant by HBF. The NFF+HBF programme offers support twice a year. nextPix will offer funding of up to 5K through the crowd funding campaign of the filmmaker’s choice. nextPix will also publicize the selected project(s) through its own website and may assist filmmakers in promoting their project. We anticipate assisting between 1-3 projects a year.nextPix will review your crowd funding proposal for selection based in part on the criteria that the project have a positive humanitarian message (for more on our definition of “humanitarian” see Humanistic Media). We welcome narrative feature/documentaries and animation projects of all subject matter. The New Mexico Humanities Council (NMHC) accepts applications for funding to conduct high quality humanities programs for public audiences throughout the state. NMHC will fund films or videos if they are an integral part of another project, such as a video as part of an exhibit or oral history project. NIST, the National Institute of Standards and Technology, is offering a grant of up to $500,000 for the creation of a documentary film about the world-wide endeavor to redefine the kilogram and reboot the international measurement system. This is an opportunity to create a film that chronicles a fascinating and largely untold story in the world of science. The Humanities Council welcomes project proposals that support free, public programs addressing fundamental questions about who we are and how we live in the world we share. The Humanities Council’s programs emphasize critical thinking skills essential for all citizens to be able to participate in our democracy. North Carolinians of every walk of life, hue, and creed engage in these activities by examining what we value, how we relate to each other, how we cope with change, and how we express ourselves. In particular, the Humanities Council encourages programs that explore North Carolina’s rich diversity by examining the culture and traditions of specific groups as well as programs that foster cross-cultural understanding. Oppenheimer Cine Rental has been renting a 16 and 35mm motion picture cameras and related equipment for over twenty-seven years from our location in Seattle. Over the years we have watched new filmmakers struggle to turn their film ideas into reality. We are now able to do more to encourage and support these new filmmakers than we have before. With this commitment, we introduce our New Filmmaker Equipment Grant Program. The Oregon Production Investment Fund offers qualifying film or television productions a 20% cash rebate on production-related goods and services paid to Oregon vendors and a 10% cash rebate of wages paid for work done in Oregon including both Oregon and non-Oregon residents. The labor portion of this rebate can be combined with the Greenlight Oregon program for an effective labor rebate of 16.2%. A production must directly spend at least US $750,000 in Oregon to qualify. There is no per production cap. The goal of Pacific Islanders in Communications is to support the development of national public broadcast programming that enhances public recognition of and appreciation for Pacific Islander history, culture, and society. PIC accomplishes this by nurturing and supporting filmmakers through its Research & Development (R&D), Production, and Completion funds. PIC staff is available to help and provide feedback on all film proposals until two weeks before the deadline. PIC also offers Production and Completion Funds. The Pacific Pioneer Fund supports emerging documentary filmmakers. The term “emerging” is intended to denote a person committed to the craft of making documentaries, who has demonstrated that commitment by several years of practical film or video experience. Limited to organizations anywhere in the US, certified by the IRS as “public charities”, which undertake to supervise any project for which individuals receive funds, and to control the selection of individual recipients of funds. Panavision’s New Filmmaker Program is an ongoing grant program that was started over 20 years ago. Panavision believes in giving new filmmakers the opportunity to pursue their vision by donating a camera package. Without this, many young filmmakers might feel it is impossible to complete their project. Panavision has seen many filmmakers come through the program and continue on in a very successful career, and in most cases they become a regular Panavision customer. Through this program, Panavision donates the use of 16mm or 35mm motion picture camera equipment to filmmakers who are making Public Service Announcements (PSAs), Showcase Reels, “Low-Budget” Independent Features or any other type of short not-for-profit project. The Points North Fellowship is a unique opportunity for six documentary filmmakers or film making teams to develop their feature-length works-in-progress through a combination of focused industry mentorship, workshops, meetings and a public pitch session at the Camden International Film Festival. The Public Media Content Fund (PMCF) is an open invitation to independent producers to submit proposals for a program, limited series or short web-based digital video projects (no longer than 20 minutes) on any subject that relates to or is representative of Latino Americans that is appropriate for public television and/or one of its platforms. Programs should bring new audiences to public media and have national relevance presenting a range of subjects, issues and viewpoints that complement and challenge existing public media offerings. The Pulse BRITDOC Genesis Fund is an international film fund supporting the inception of long form feature documentaries driven by imaginative and innovative storytelling. Directors of any nationality and any level of experience are eligible. Projects need to be very early stage. The Redford Center is looking for applications from filmmakers who are interested in making feature-length film projects focused on driving awareness and action on environmental topics. Their goal is to support the development of a proof-of-concept short that filmmakers can use as a fundraising tool and a stand-alone piece that can help garner audience attention and build a community for the project. Ultimately, they want to see the development of feature-length films, and realize that in the current media environment, there are many ways to reach that goal. Major grants are awarded at biannual deadlines to non-profit organizations to support public humanities projects. Major grant applicants must register their Intent to Apply online prior to submitting a proposal. Major grants support the production of live public programs and media programs as well as technical assistance for development of humanities resources and archives. Project formats include (but are not limited to): talks and lectures, historical dramatizations, panel discussions, book or film discussions, workshops, museum interpretations and public exhibits, oral histories, Teacher Institutes and the development of educational materials, documentary films, podcasts and radio programs. Rogers Communications Partnership created the Rogers Cable Network Fund to support the production of cable network programming in Canada. The Rogers Cable Network Fund has been set up to provide approximately $9 million a year in equity financing to Canadian independent producers for television programming triggered by a first play in prime time commitment on a Canadian cable network. The Fund will invest up to 20% of the lesser of the total production budget or final cost of eligible projects to a maximum of $500,000 per project. The demand for real stories about real people has never been stronger. The Fund was launched to support the creation of original Canadian documentaries. They also launched a public-private partnership with Telefilm Canada that provides financing to theatrical documentaries at the production or post-production stage. Rooftop Films Filmmakers Fund Grants are only open to filmmakers whose work has screened previously as part of a Rooftop Films Summer Series event. Rooftop Films has nine grants available —six for feature length films and three for short films. In 2015, Rooftop Films will give away over $35,000 in cash grants, including $25,000 in cash grants from GarboNYC that will be awarded to feature filmmakers, as well as equipment and service grants valued at more than $100,000. The Roy W. Dean Grant funds independent feature, documentary, and short films that are unique and make a contribution to society that, without its help, might otherwise never get made. It seeks films that need help getting started or getting completed. Grant winners receive a cash award as well as goods and discounted services offered by film industry companies and professionals who care about getting good films produced. The Documentary Film Fund supports riveting documentaries distinguished by compelling stories, intriguing characters and innovative visual approach. A total of $450,000 has been disbursed to documentary filmmakers nationwide. Grants are awarded in the fall of each year. Exact amounts of individual grants and the number of grants made each year will be determined on an annual basis. The Co-production Program has been put in place to encourage production and foster relationships between international filmmakers. In allowing two or more international producers to come together to make a screen project, it provides them with the opportunities to access the resources required to produce projects that will be internationally competitive. The objective of the program is to foster projects that will be truly international in terms of storytelling, budget ranges and the audiences to which they appeal. Screen Australia provides funding and support for documentary filmmakers from project development to distribution. Applicants and projects must meet the general eligibility and delivery requirements set out in Screen Australia’s Terms of Trade, as well as the specific requirements of these guidelines. Applications must be made on the relevant application form, and include all supporting material listed on that form. Incomplete applications will not be accepted. Screen Australia’s Indigenous Department programs support creatively ambitious projects and people, and imaginative, resonant stories authored by Aboriginal and Torres Strait Islander Australians. They aim to assist the career development of talented writers, directors and producers who have the potential to make a significant contribution to screen culture and the national cultural life. Screen Australia provides a variety of industry development support for individuals, businesses and festivals. The overall aims of the Screen Institute is to support and promote film in all its forms as an important means of expression of cultural, artistic and social values. SIB provides advanced levels of education and training for creative film and programme makers in the film, broadcasting, educational and new media sectors of the region. They also make available production funding, physical production resources and professional support for young professionals to allow them to produce films that would otherwise not be realized. Scottish Documentary Institute offers a number of opportunities for Scottish and international filmmakers to get involved. Check out their annual Bridging the Gap initiative for short documentary ideas; their Interdoc programme for ambitious producers to access the international market; their annual Edinburgh Pitch during Edinburgh International Film Festival (June) and their Docs in Progress screenings for films at a rough-cut stage. Different deadlines apply. They also offer free consultancies for selected Scottish producers on a year round basis. In June 2016, Hot Docs and the Rogers Foundation founded the $1-million Hot Docs Ted Rogers Fund to support Canadian documentary filmmakers. Over the coming 10 years, production grants will be distributed to Canadian documentary filmmakers. Up to $35,000 will be granted to three or four projects each year. Smarthouse Creative’s Smarthouse Launchpad is an in-kind marketing & publicity services grant program for finished feature-length documentaries. The first ever Launchpad Grant will provide one filmmaking team with the resources they need to run a full marketing campaign in support of a festival premiere, theatrical opening, or on-demand/home video release in the US. The Southern Documentary Fund supports documentary films made in or about North Carolina through their annual film making grants. These grants are made possible thanks to generous support from The Mary Duke Biddle Foundation. They are looking for projects in development, production, or post-production that are compelling southern stories and are well-researched. The Southern Documentary Fund is proud to announce an exciting new Filmmaking Residency, to be held each Fall at Split Rock, an inspiring 25-acre property outside Hillsborough, North Carolina. This program is made possible with the generous support of The Parker Foundation, and Split Rock owners/stewards, Jenny Parker and Peter Rosenberg. The artist residency at Split Rock will nurture SDF’s community of filmmakers by providing an inspiring location, nourishing meals, and, most importantly, a peaceful respite from day-to-day life in order to focus and create. STORYHIVE is a simple production funding and distribution competition for emerging and mid-career content creators in BC and Alberta. It supports filmmakers with grants up to $100,000 as well as mentorship, networking opportunities, distribution and more! Deadline is June 5 at 12 noon PST. BC producers who successfully receive funding from the TELUS Storyhive $100K Edition, may be eligible for a $20K top-up from Creative BC. Guidelines will be posted in May 2017, with online application forms to follow in August 2017. Please note that applications will only be accepted from successful applicants to the TELUS Storyhive $100K Edition. The Sundance Documentary Film Program supports non-fiction filmmakers worldwide in the production of cinematic documentaries on contemporary themes. Established in 2002 with founding support from Open Society Foundatins, the Program is a vibrant globals resoure for independent non-fiction storytelling. TFI Documentary Fund provides grants and guidance to support exceptional character-driven, non-fiction works-in-progress that sit outside of the social issue landscape and aim to take audiences into someone else’s environment and spotlight the journey of the individual. TFI Latin America Media Arts Fund supports innovative film and video artists living and working in the Caribbean, Mexico, Central and South America whose works reflect their diverse cultures in the documentary or mixed media form. TFI New Media Fund provides funding and support to non-fiction, social issue media projects which go beyond traditional screens — integrating film with content across media platforms, from video games and mobile apps to social networks and interactive websites. Tribeca All Access supports working filmmakers who come from communities traditionally underrepresented in the film industry by providing grants, year-round resources and greater access to industry contacts. VeganFlix is excited to provide our first seed grant to a new video in progress that explores/promotes animal justice and/or contributes to vegan awareness. This Fall, our first grant of Two-hundred and fifty dollars ($250) will be awarded, with hopes of expanding our offerings next year. VFH funds public humanities programs in Virginia that are shaped by and significantly involve humanities scholars and/or other community experts. The grant program encourages projects that increase public understanding of important issues and enrich the cultural life of the state, such as lectures or lecture series, community forums and public discussions, including book or film discussion programs, festivals, conferences and symposia, media programs: films, script development, videos, television, radio, and digital media projects. Vision Maker Media invites proposals for programs intended for Public Television that represent the experiences, values and cultures of American Indians and Alaska Natives. They are currently seeking films focused on the following initiatives to foster dialogue about critical social issue in Indian country: American Graduate; Indian Mascots; Native Women; Suicide Prevention; and Underrepresented Tribes. The Swiss fund, Visions Sud Est, was initiated by the Foundation Trigon-Film Baden and the Fribourg Film Festival, with the collaboration of Nyon’s Visions du Reel and the support of the Swiss Agency for Development and Cooperation. It supports documentary film productions from Asia, Africa, Latin America and Eastern Europe, aims at making them visible worldwide and guarantees their distribution in Switzerland. The Wallace Alexander Gerbode Foundation is interested in programs and projects offering potential for significant impact. The primary focus is on the San Francisco Bay Area (counties of Alameda, Contra Costa, Marin, San Francisco and San Mateo) and Hawaii. To qualify for support, an organization must be a tax-exempt public charity, as determined by Internal Revenue Code Section 501(c)(3). Each year £80,000 will be awarded to a new director with the most promising pitch for an authored documentary which fulfills the core criteria of the foundation and can be completed for screening with this award. The money will be paid in instalments to the director’s film company, enabling a project which deserves to be realized, to reach as wide an audience as possible. The program funds filmmakers working in both short and long formats, in all genres—narrative, documentary, education, animated and experimental. To apply for the Finishing Fund, the filmmaker must have completed 90% of principal photography and have a rough cut at the time of application. You do not have to be a Women In Film member to apply, and we encourage applications from around the world. Together with the Federal Foundation for Culture and in cooperation with the Goethe Institute, the Foreign Ministry and German producers, the World Cinema Fund works to develop and support cinema in regions with a weak film infrastructure, while fostering cultural diversity in German cinemas. The World Cinema Fund supports films that could not be made without additional funding: films that stand out with an unconventional aesthetic approach, that tell powerful stories and transmit an authentic image of their cultural roots. The World Cinema Fund has an annual budget of approximately € 350,000 and supports exclusively the production and distribution of feature films and feature-length documentaries. The support is focused on the following regions: Latin America, Central America, the Caribbean, Africa, the Middle East, Central Asia, Southeast Asia and the Caucasus. The New Genres Fund supports the development of original, distinct and groundbreaking storytelling, from both emerging and established filmmakers; connecting and developing audiences both in the UK and the wider world. Projects should reside in the fiction or drama-doc sphere and/or have an innovative multi-platform element. Working with leading and emerging talent from around the world, the New Genres Fund will help to reflect and develop issues of the wider world that connect new audiences, both in broadcast media and multiplatform, on an international scale. Grants of up to £20,000 are available for research, development and pilots. Currently only established programme makers/media producers/production companies may apply. Individual producers are not excluded from applying to the Fund, but are encouraged to approach established production companies to umbrella their projects. Preference will be given to projects that aim to extend audience reach. Projects should aim to promote better understanding of the developing world and highlight the challenges and importance for both developed and developing countries of reducing poverty.